It was late in the afternoon when I left Michelsberg, and I still wanted to go for a run in the daylight, so I started to make my way back to the hotel. 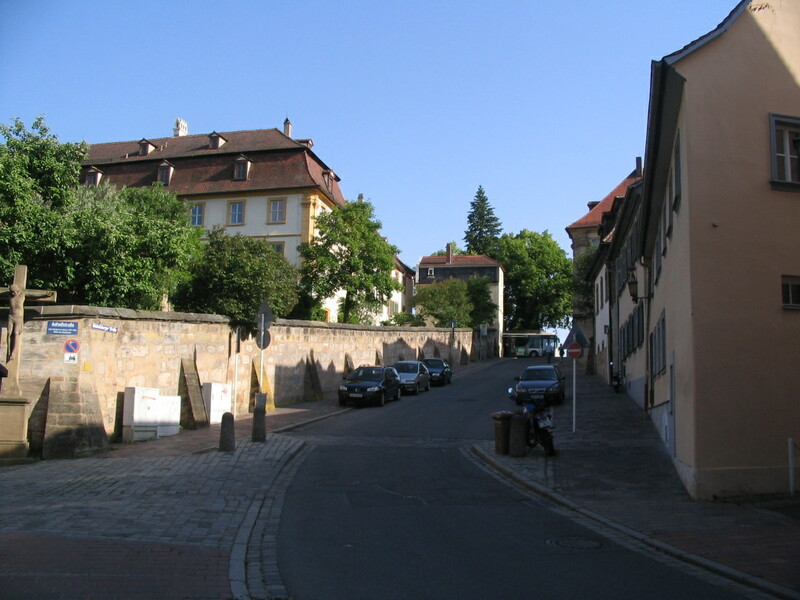 Starting back down the Michelsberg road. 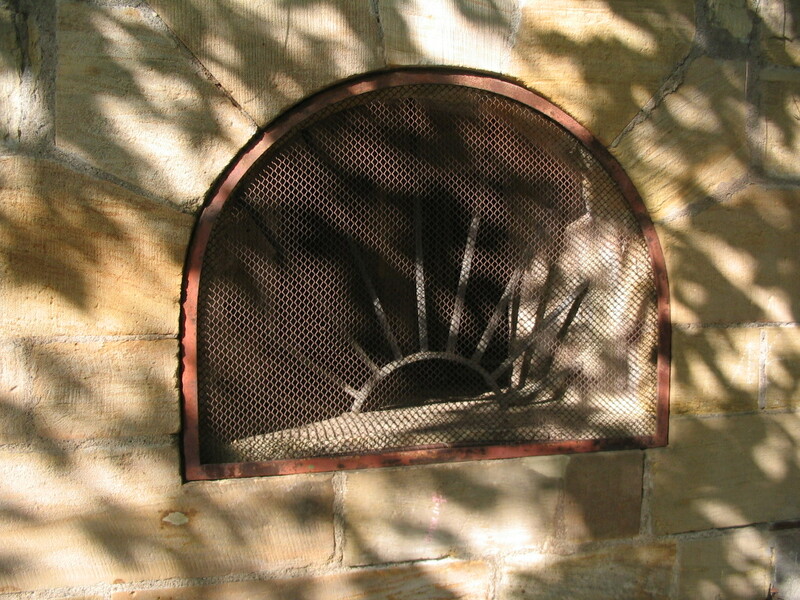 A mysterious window in the street wall. 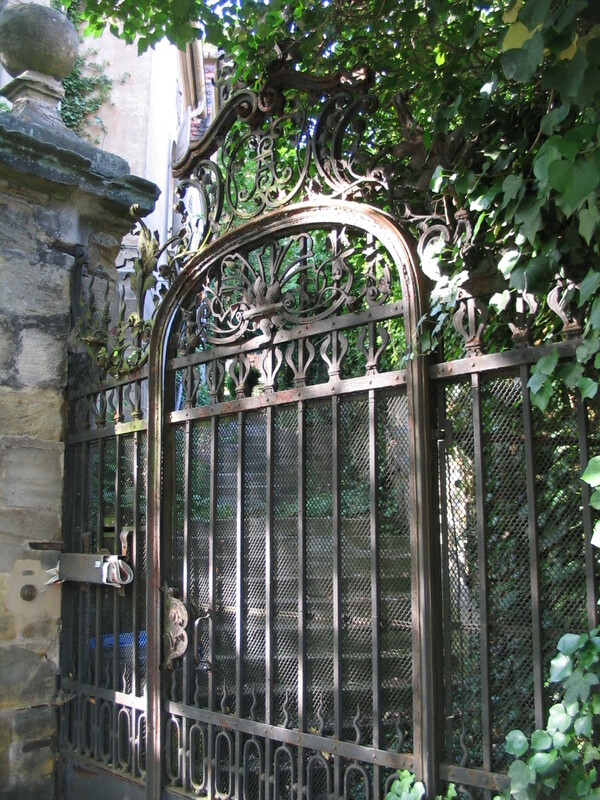 Oh, the allure of receding steps past a locked gate! 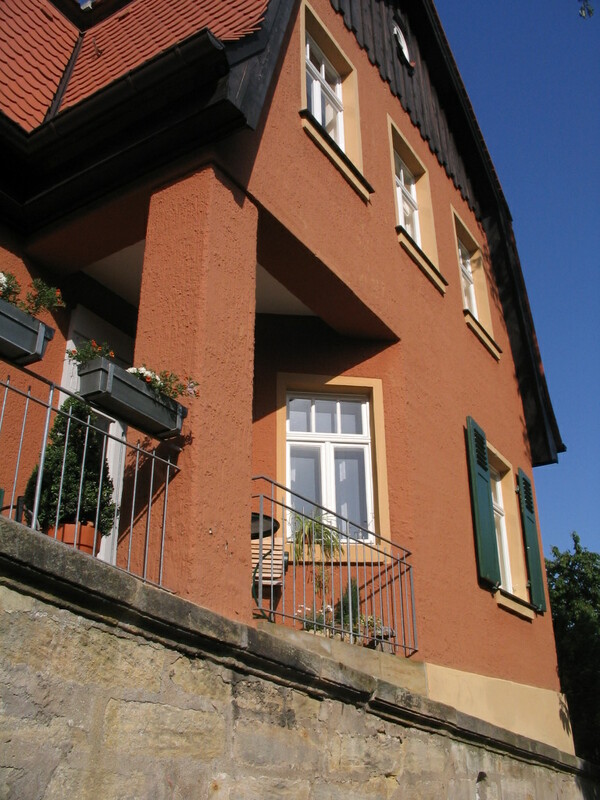 A buttressed retaining wall, cool. 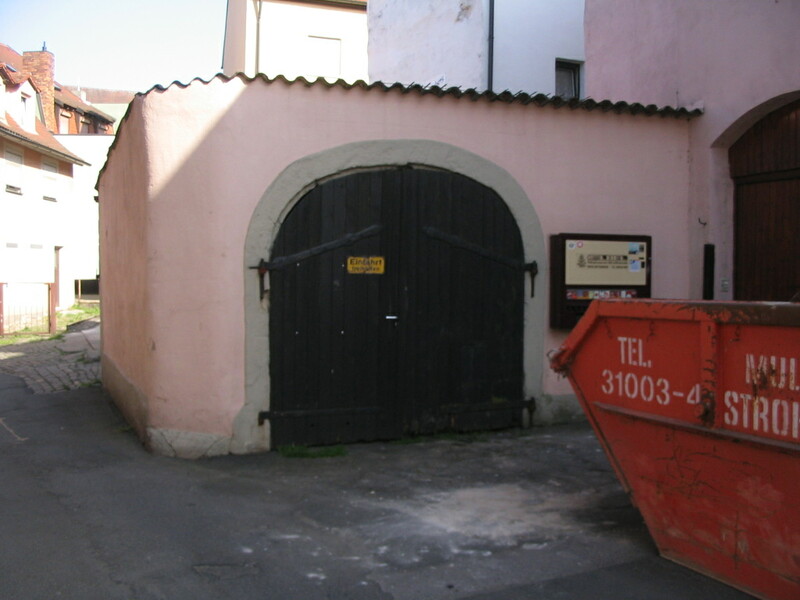 The crucifix is, I think, part of the Bamberger Kreuzweg (Stations of the Cross), the oldest completely extant one in Germany. 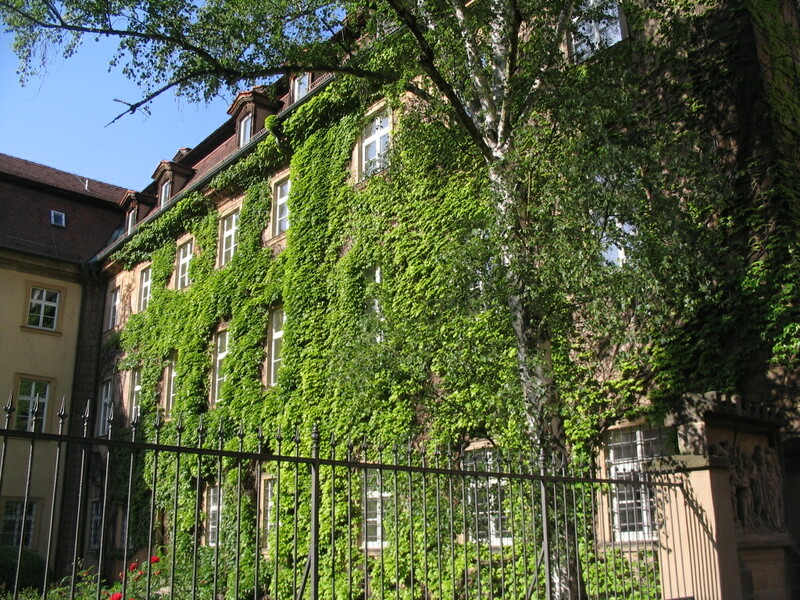 An explosion of ivy on a wall of the Aufseesianum school. 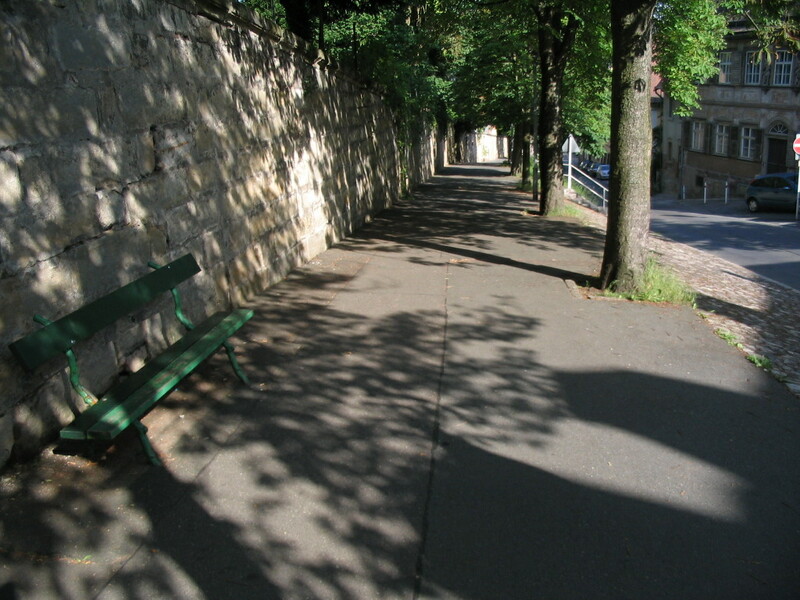 I skirted the north edge of the Domplatz plateau along Aufsessstraße. 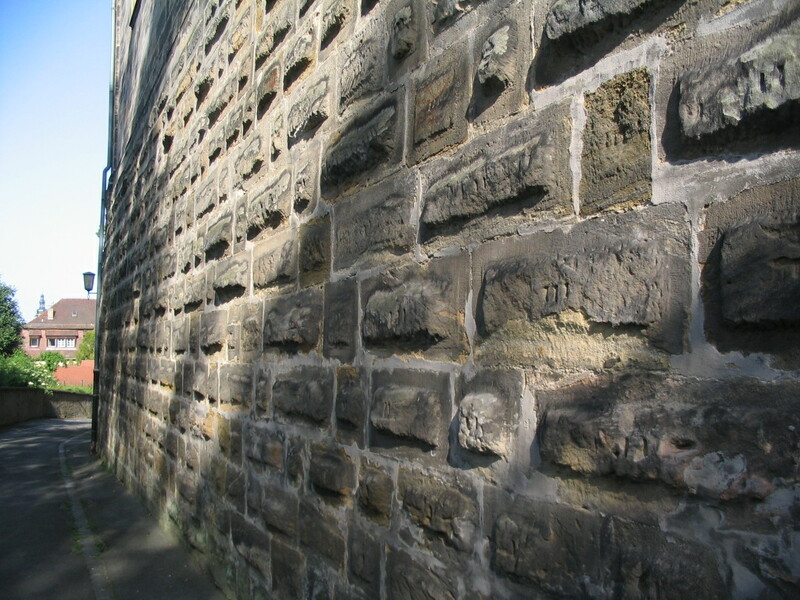 This wall holds up one end of the Neue Residenz. 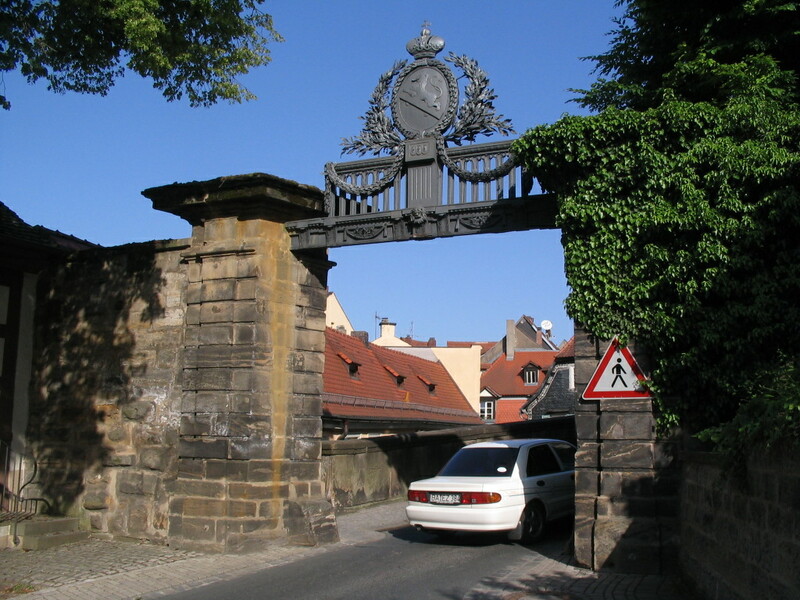 To continue around that edge onto the Residenzstraße required insinuating oneself through this great gate. 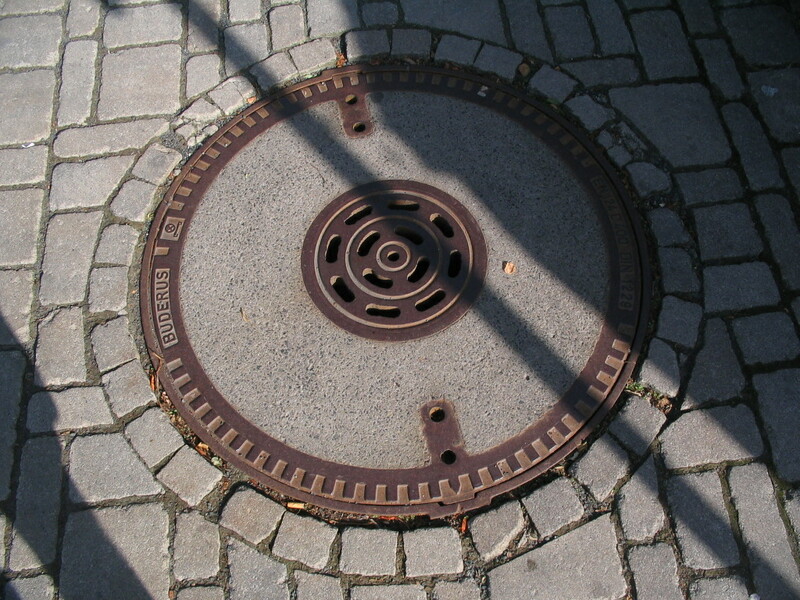 A rather nicely sunlit manhole cover. 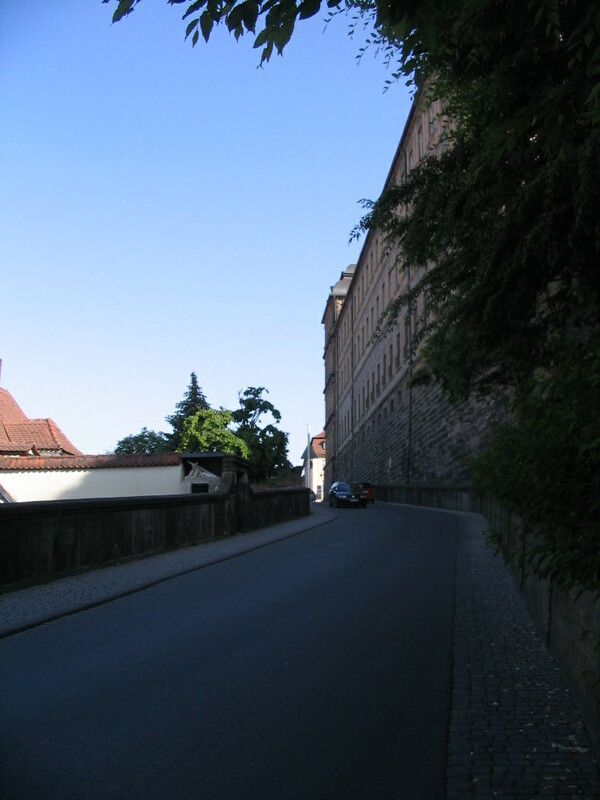 Now climbing the Residenzstraße, and suitably, up to the right is more of the Neue Residenz itself, the other end. 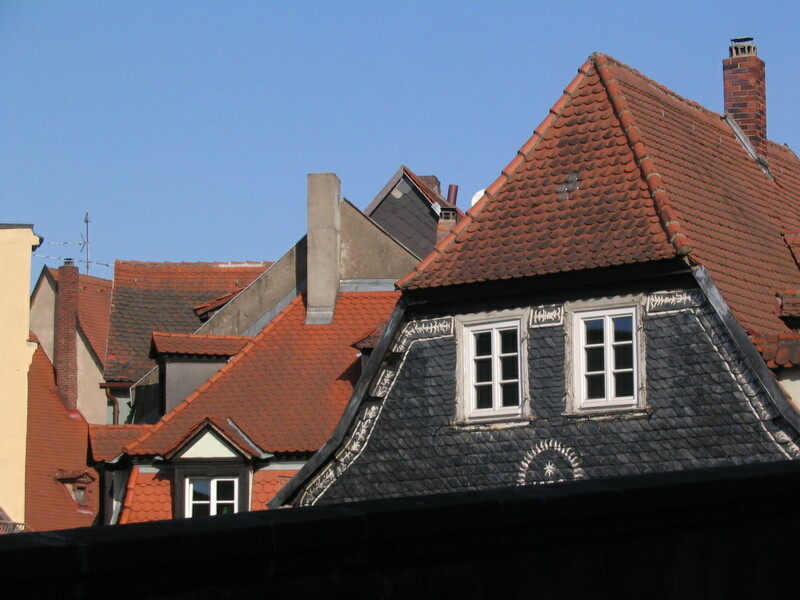 Have some roofs. — The vegetal border pattern around the gable of the house in front looks sort of like a cursive Semitic script at first glance, like Syriac almost. Mmmmm, now I want a slice of strawberry ice cream cake. 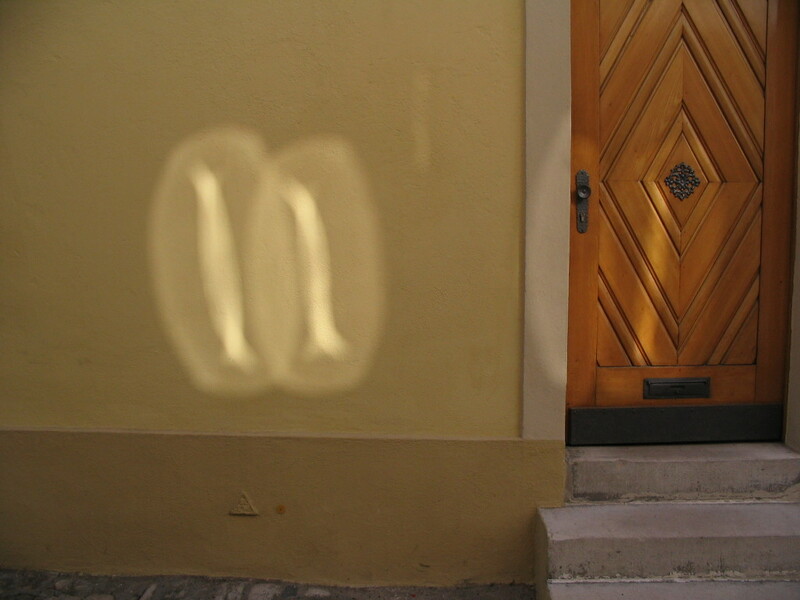 A selection of window curvature reflections.